Get 2 Free Books and all the latest updates and events from GTC, including information on current dice control seminars and special sales.. The easiest decision you can make to improve your odds at the casino! This email newsletter is FREE, and every issue is packed with great articles on craps, blackjack and other beatable casino games. Click here for more information about the e-newsletter. This amazing professionally produced e-book includes 25 great articles by the stars of Golden Touch. NO SPAM! We only ask for your e-mail address, never share your information, and only send you the e-newsletter every month or two. 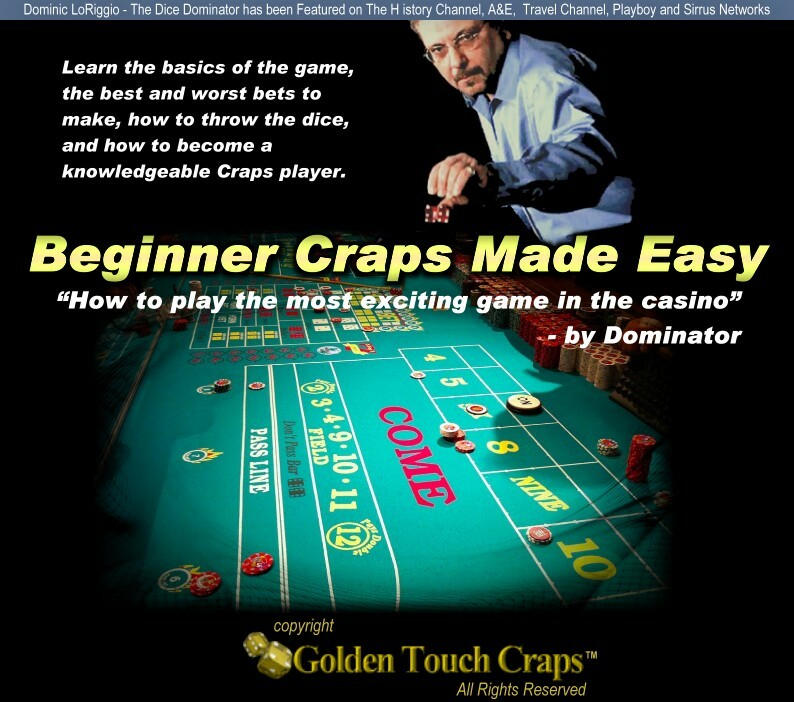 Learn the basics of the game, the best and worst bets to make, how to throw the dice, and how to become a knowledgeable Craps player. Join us on facebook and keep up to date with the latest from Golden Touch Craps, you'll be the first to see new videos, articles and news from The Number One Dice Controller in the World, the Dominator! Copyright © 2008-2019 Golden Touch Craps™ International, LLC. All rights reserved. Golden Touch™ is a trademark of Golden Touch Craps International, LLC.